If there is one thing that Niagara Falls is known for, it’s water. And where there is water, there are usually fish — and Lake Ontario and the Niagara River are no exceptions. Most travelers come here to see the spectacular waterfalls, but if you’re an angler, you shouldn’t miss the many phenomenal fishing opportunities the area has to offer as well. By some accounts, the fishing in the Niagara region is some of the best in all of Ontario. The waters of Lake Ontario in Niagara, Canada are home to a number of species of sport fish, including King and Coho salmon and several types of trout, including Lake and Rainbow. The Niagara River is a year round fishery for Walleye, Steelhead, Bass, and Musky. In short, whatever type of freshwater fish you’re angling for, there’s a good chance you’ll find it here. Even though avid anglers will argue that there is no such thing as a bad day of fishing, the easiest way to have a successful day of fishing in Niagara Falls is to hire an experienced guide to help you find the best fishing spots. In addition to getting to those “secret” locations where you’re more likely to finally land that trophy fish, a guide will offer more insights into the local area, sharing history, legends and information about where you are and what you’re seeing. 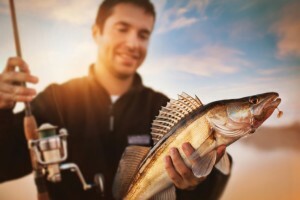 Most guide services will also outfit you with everything you need for a successful day out on the water, from rods and reels to bait, life jackets and licenses. Instead of packing all of your gear and searching for the perfect spot to drop a line, all you need to do is show up and your guide will do all the work to ensure you have a great day or afternoon on the water. Check with the Niagara River Anglers Association for guide recommendations, or ask the concierge at your hotel to recommend a fishing charter. 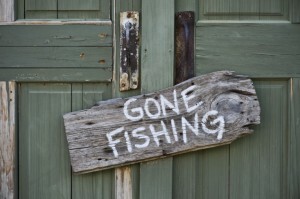 In order to fish the waters of Ontario, you’ll need a valid Outdoors Card and fishing license. The Outdoors Card is a plastic wallet card that serves as an ID for anyone who wishes to hunt or fish in Canada. It is not a fishing license. 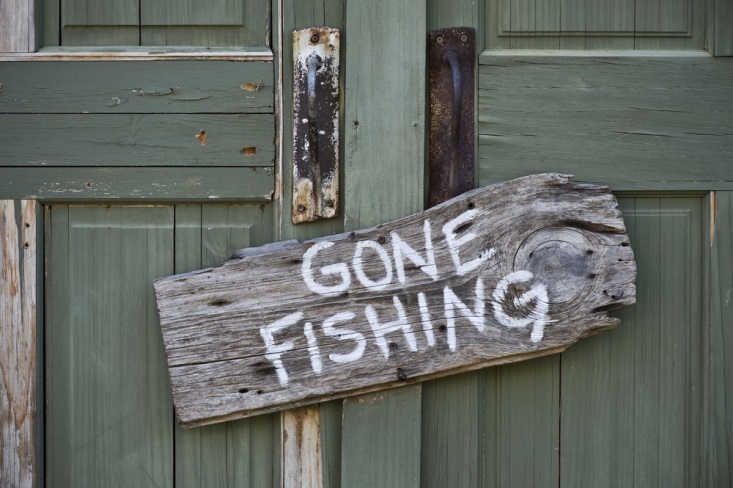 You will need to purchase an additional license in order to fish; depending on how many you plan to catch and keep, you can purchase either a Sport Fishing License or a Conservation Fishing License for one, three or eight days. There are also one year and three-year license options. Licenses can be ordered online or purchased at Canadian Tire locations around Niagara Falls; if you’re working with a charter service, they can help you get your permits in order. You can also find out more about the various licenses and their costs and requirements from the Ontario Ministry of Natural Resources and Forestry website. Fishing the Niagara Falls region is a great way to enjoy some of the natural beauty of the area while getting away from some of the hustle and bustle for a while. And who knows, you might even catch “the big one”!